Earthquake Insurance: Do You Really Need It? You may think that unless you live in California, you will never be affected by an earthquake. This type of thinking may cause you to be unprepared should an earthquake ever occur in your state. The truth is that an earthquake can occur and cause damage to your property in almost any state. While earthquakes are more prevalent in the state of California, they can occur in any state. While many earthquakes are too small to ever be detected or felt, the U.S. Geological Survey reported that in the years between 2002 and 2012, earthquakes occurred in 23 U.S. States. These earthquakes were of a 4.0 or higher magnitude. Earthquakes with magnitudes greater than 6 can cause significant damage to homes and other property as well as injuries and even loss of life. Earthquake damage is generally not covered in the typical homeowner's policy so if you live in an area prone to earthquakes, you may want to check into obtaining coverage. Earthquake insurance will cover damage to your dwelling and its contents caused by damage from an earthquake such as walls that collapse or valuables that are destroyed inside your home. However, some damages may not be covered, such as any flooding that may result. This will depend on the language of the policy. You should always read your policy very carefully to know what is covered. If in doubt, sit down with an insurance agent and have him go over the terms of your policy with you. Why Do You Need Earthquake Insurance? Your homeowner’s policy does not cover damage caused by earthquakes. You must either purchase an earthquake coverage endorsement or purchase a separate policy for earthquake insurance. Don’t make the mistake of thinking that you will rely on government disaster assistance to help you recover losses from an earthquake. 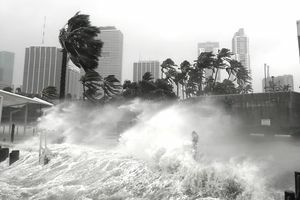 Government disaster programs, such as FEMA, are designed to take care of immediate needs such as food, clothing, medical assistance, and temporary shelter. However, rebuilding your home and replacing your contents is up to you. Even if you get a low-interest loan through FEMA to help you rebuild, it still has to be repaid. If you live in an earthquake prone area, the only way your property and contents will be covered is through earthquake insurance. Does everyone need earthquake insurance? Only you can make this determination. Many people, especially people who do not live in earthquake-prone areas choose not to get this coverage. Be prepared to pay for earthquake coverage as the policy can be quite expensive. Deductibles can be as much as 10 percent of the value of your home and in some cases even more. Just know that if you do not have earthquake insurance, rebuilding your home and replacing all of your valuables will come out of your own pocket. Earthquake-prone areas in the Western United States include California, Washington, Oregon and some places in Nevada, Wyoming, and Utah. There are also states at risk along the New Madrid Fault line including Missouri, Illinois, Tennessee, Arkansas, South Carolina, and Kentucky. How Much Earthquake Insurance Do You Need? How much earthquake insurance you need will depend on your individual situation including the cost of rebuilding your home should you suffer a total loss and replacing its contents. Take an inventory of your contents and valuable items to determine the dollar amount you would need to replace them. If you do not know the value of your home and contents, it may be a good idea to have an appraisal done to make sure you are not underinsured. In addition to rebuilding your home and replacing its contents, you will also need coverage for additional living expenses such as temporary lodging and food while your home is being repaired or rebuild. The state of California offers earthquake insurance through the California Earthquake Authority (CEA). Individual insurance companies in the state can elect to participate in the CEA. By law, if an insurance company offers homeowner’s insurance in the state of California, it must also offer earthquake insurance. Mini-policies are also available which only cover your dwelling, excluding items such as patios, pools or other detached structures. This was introduced in 1996 by the California legislature in an effort to keep earthquake premiums affordable for homeowners. Not all homeowner’s insurance companies in all states will sell you earthquake insurance either as an endorsement to your homeowner’s policy or as a separate policy. Some of the homeowner’s insurance companies that do offer earthquake insurance include American Family, State Farm, and GeoVera Insurance. Earthquake insurance policies are available for homeowners, condo unit owners, mobile homeowners, and renters. You can choose the amount of coverage you need as well as deductible options. A company representative representing the earthquake insurance provider will be able to provide you will more details about coverage options and rates. If you’d like more information about earthquake state assistance, you can visit the FEMA website.